. 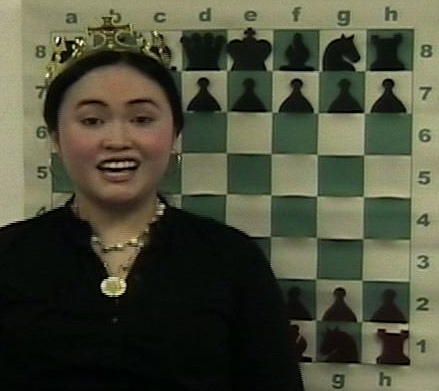 Welcome to the Chess Diva TV show website, which celebrates chess, girls, and women! Chess Diva is a 2010 Chess Journalist of America and WAVE 2008 award winning TV show! Lauren and Barbara Goodkind, who are identical twin sisters, are the producers and the hosts of the new Chess Diva show, which debuted in January 2007. Their most recent episode was produced in April 2012. The sisters have been playing in United States Chess Federation (USCF) chess tournaments since 1999 and both have ratings around 1800. Since only about 3 to 4 percent of the 80,000 members of the USCF are female, Lauren and Barbara would like to encourage more girls and women to play chess. So far, the show has presented exclusive interviews with lady chess master Amanda Mateer, Alisha Chawla, Jessica Lauser, and many other top players, including Daniel Naroditsky, who was ranked #1 among 12 year olds in the USA in 2007. There are other fun stuff on our show too. The TV show is supported by the Burlingame Chess Club, the Media Center in Palo Alto, CA, and the Northern California Chess Association. If you live in California's towns of Palo Alto, East Palo Alto, Menlo Park, Stanford, and (or) Atherton, then you can view our show on television. Click "here" for times and dates. Otherwise, you can view all episodes online.